This biweekly challenge was a Sketch Challenge ! 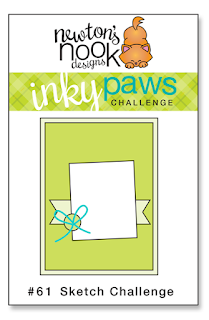 Inky Paws Challenge #61 Winner! 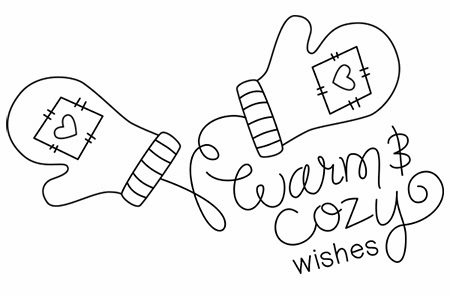 Michelle creates this sweet card using Mittens. I love the fun polka dotted background peeking from those die cut circles. 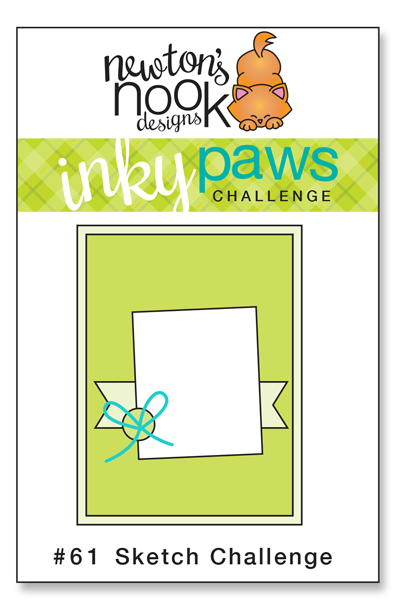 The added button is a fun touch for this cute card! 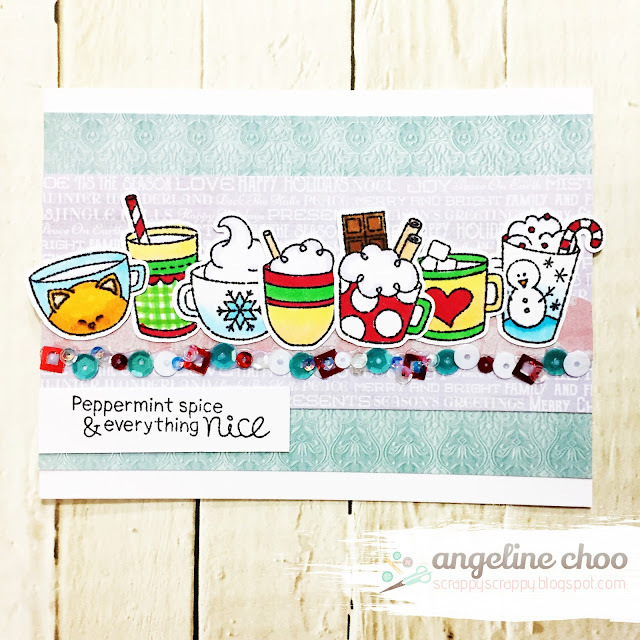 Angeline's hot chocolate buffet is exactly my type of feast! Look at all those cups from Cup of Cocoa stamp and die set. I love how Angeline uses sequins for the border! Trina colors these frozen folks from Frozen Fellowship stamp set wonderfully. I love the glittery snowflake and the festive striped paper! Super festive! 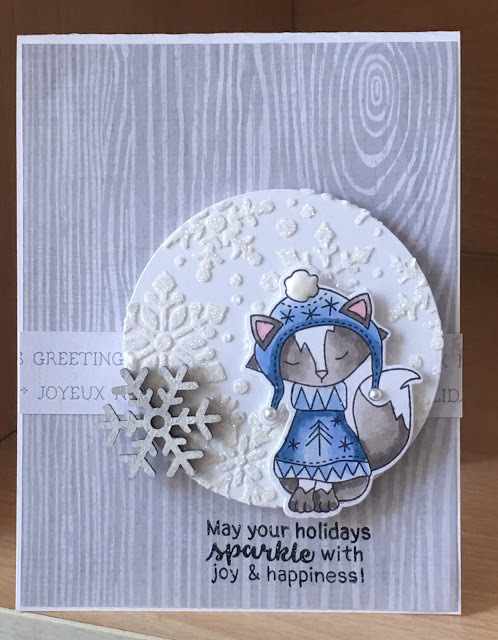 Sue sparkly snowflakes created with glitter, embossing paste and Snowfall Stencil make for the perfect backdrop for this darling fox from Sweater Weather stamp set. Did you see those pearl beads on the end of the hat! Oh so cute! 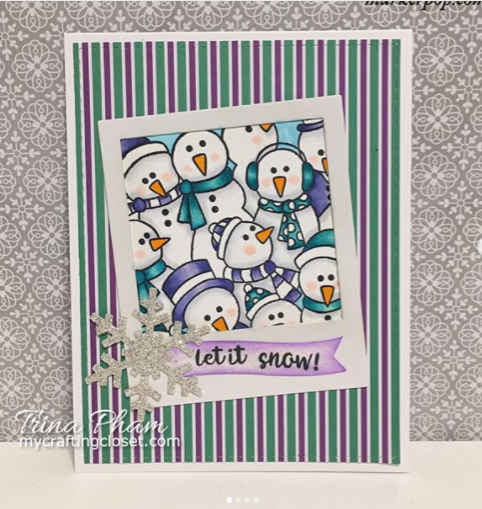 Melanie showcases Ornamental Newton stamp and die set with this festive card. I love the polka dotted ribbon and that cute Christmas button! Thank you so much!!! I am doing The Happy Dance!!!! Thank you !!!! Email sent! Thank you so much Andrea and Emily! 🎉🎉🎉 Doing the happy dance! Thanks for showcasing my card!